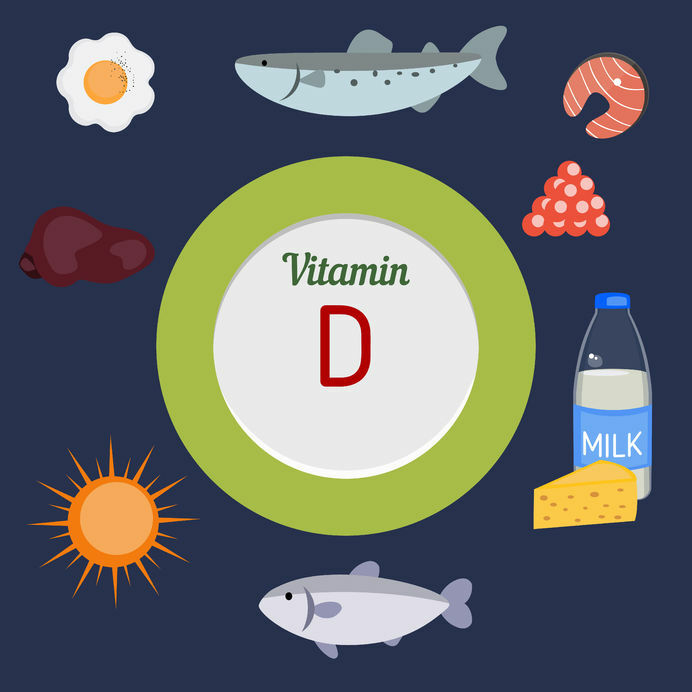 Vitamin D is another vitamin that is easily taken for granted. “Vitamin D enriched” food products are on popular food packages, we are told by our doctors to take a Vitamin D supplement and most of us probably know that being in the sun helps our body synthesize it. Is getting out in the sun enough? Not always. Variability due to seasons, cloud cover, time of day, skin melanin content, smog, and sunscreen all impact UV radiation exposure and our body’s natural ability to make vitamin D. For those reasons, we can’t count on the sun to be our sole source. Believe it or not, when I worked in Colorado, one of the sunniest states, almost all of my clients who were lab tested for vitamin D revealed deficiencies. Here are some ways to get it through food! Add 1 tbsp Cod liver oil to your morning smoothie. When mixed with 1-cup berries, 1 serving of protein power and milk of choice, you won’t taste it! Kill two birds with one stone and get your omega-3 fatty acids with your D by consuming salmon, tuna, or makarel. The healthy fats actually help your body absorb vitamin D (a fat-soluble vitamin) better! Don’t throw away the yolk! Enjoy your omelet with 2 whole eggs. Mix in veggies and for even more D, add 1oz of cheese. Shitake mushrooms will provide a rich, umami flavor to your dishes while providing vitamin D. Add to soups or stir-fry dishes. If you have concerns that your levels are low, check with your doctor! Also, be proactive and start boosting your diet with these foods.